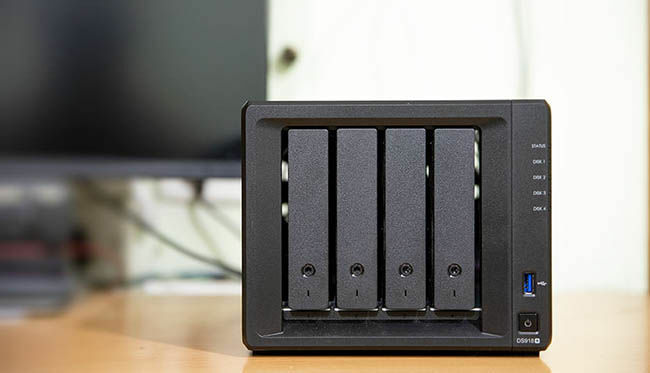 The Synology DS918+ is a network attached storage solution that does much more than a “large hard disk.” Network attached storage solutions like the DS918+, at a bare minimum, offer the ability to plug in multiple hard drives into the box, acting as one large storage repository. Furthermore, you get better data protection with this setup, compared to what you would get from standalone 4TB or 8TB hard drives. Imagine having all your family photos on a regular external hard drive and having it crash. Depending on your settings, you can have a fault tolerance for up to 2 hard drives on the DS918+. Even if 2 of your 4 hard drives inside the DS918+ fail, all your stored data would be safe. Let’s take a look at what else the product has to offer. Data safety is not the only feature offered by the Synology DS918+. As the name suggests, this drive bay is plugged into your network rather than a computer. 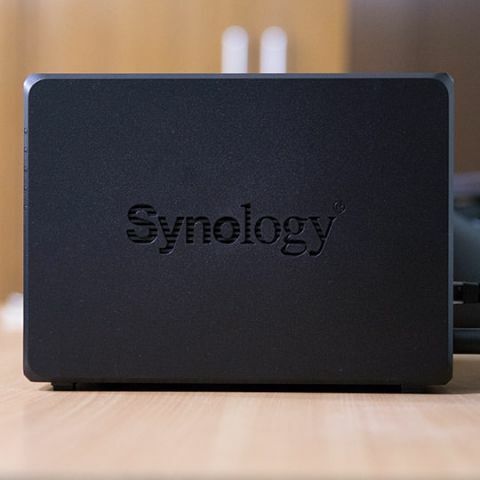 For fast connectivity, Synology has provided two gigabit ethernet ports on the DS918+, which are capable of network aggregation. Simply put, the two ports can combine their total bandwidth into one, allowing for faster transfer over the network — great for people who transfer large amounts of data in one go, such as photographers or film-makers backing their RAW data up, right after a shoot. To speed things up even more, there’s the provision for two M.2 NVM2 2280 SSDs for fast system caching so that you don’t have to sacrifice a drive bay. If you have multiple external hard drives whose contents you need to offload quickly, just plug them into the USB 3.0 port. Having your data stored and secured is no longer the only need of the day. Today, we live in the times of constant connectedness — the cloud. Whether its photos being on the cloud or watching movies or TV shows through popular streaming services, we are slowly storing lesser on our smartphones, tablets and laptops because the data can just be accessed through the cloud. However, the photos you are backing up are only the ones shot on your smartphone and they are being backed up to someone else’s server. 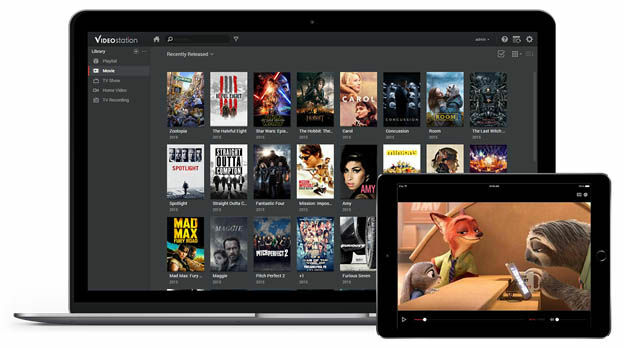 The shows and movies you stream may be available on your preferred service today, but may not be there a few weeks or months or years from now. Synology’s solution was to build apps for the DiskStation Manager (DSM), the operating system which powers the DS918+ which makes this traditional NAS box a modern-day boon. Synology Moments is an app that runs on both the DS918+ and your smartphone. 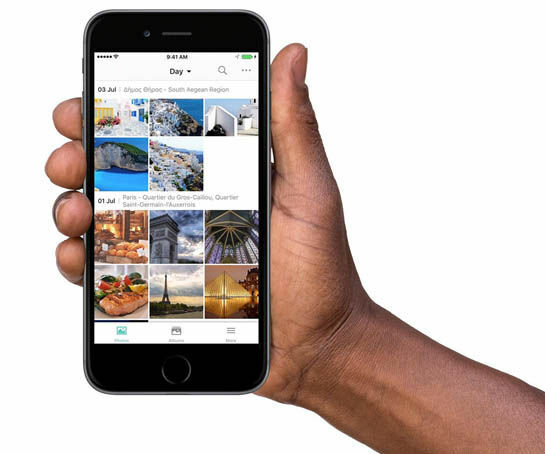 Through this app, you will be able to backup all your photos and videos from your smartphone into your own network connected storage, without having to rely on third-party providers. The app is more than just a backup solution though, as Synology has built the app on deep learning algorithms, which, while backing up your photos, can also sort them into groups based on their content. Photos of food will show up in a ‘food’ section and photos of your playful dog(s) will go into one labelled ‘Dog.’ It can even detect human faces and the app will ask you to identify them so that they can be categorized accordingly. All this happens without actually moving all your photos around. Through the app, you get to see the photos in the chronological order or neatly organized by subject matter, however, on the DS918+ itself, the photos are neatly organized by date. The best part is that if you have two smartphones, photos from both will get backed up into folders based on device name, so there’s no worry of photos from multiple sources getting mixed up. Plus, you can just add your entire photo library to the DS918+ and access it. As consumers, we are all starting to move towards shooting 4K video, with HEVC becoming commonplace. Professional cameras have been able to shoot 4K x265 video for some time now, but even today’s smartphones are becoming excellent tools of creation. As the world in unison moves towards the world of 4K video, the Video Station app anticipated this transition. All your 4K videos stored on the DS918+ can be viewed through the Video Station app which will automatically transcode the video file into a compliant format. This is especially handy if you’re trying to watch your content on devices that may not be powerful enough to support full resolution playback. 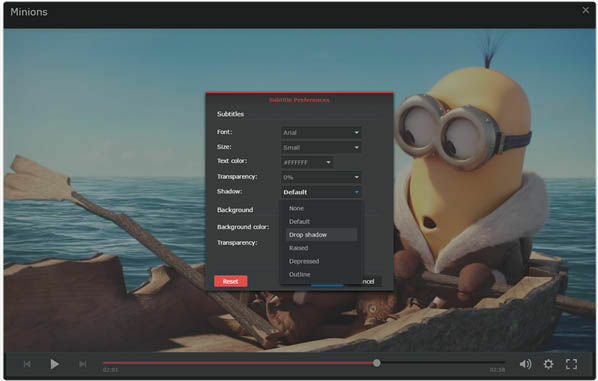 Besides transcoding everything into a compliant file, Video Station is also capable of automatically downloading the cover-art, subtitles and other info for all your video content. The other and more obvious benefit of the Video Station is the fact that anyone with credentials can access the video content. If you live as part of a family or maybe you are part of a group of bachelors living together, a single DS918+ in your house means everyone can enjoy videos on their devices without killing the internet speed. One of the most robust and useful apps available for the DS918+, the Download Station acts as a mini download-hub within the Synology DS918+. You may wonder what good this would do, but it does offer some very helpful benefits. Let’s just consider for example that you want to download large setup files for essential software or even media files, you would traditionally have to individually put them on download your PC. However, Download Station allows you to download these files into the NAS box itself, without having to run your PC for long hours, saving on electricity and even on the possibility of failed downloads. The Download Station app supports all popular protocols such as FTP and HTTP along with support for Flashget, QQDL and eMule (incase you’d like to schedule your downloads). If you’re a Linux distro drifter, you can even utilize Download Station’s native support for the BitTorrent protocol to download whatever flavour of Linux you’d like to try. In essence, Download Station allows you to straight away download your files into the designated storage space, without having to leave your PC on. As more and more features become available on any platform, things start to get complex. When we talk about storage being accessible over a network (or even the internet), there’s the obvious concern of security. You wouldn’t want anyone who happens to be connected to your Wi-Fi getting into your NAS drive and going through all its contents. Synology takes care of both those concerns in a rather simple manner. First, in order to access the NAS drive, you need a login. There are no two ways about this. Every aspect of access to the drive can be easily configured through an incredibly intuitive user interface. You can set read/write permissions for users and even define quotas. You can choose which folder a user has access to as well. Rights and permissions can be complicated, which is where the clean and intuitive UI comes in. Everything is designed to be incredibly user-friendly, so much so that even if you’re not a geek/nerd, you will be able to at least get your first DS918+ up and running securely. The Synology DS918+ brings a lot of enterprise level features into a device designed to be operated by an average consumer. It provides you with a safe haven for all your important data, all the while making it securely accessible to you regardless of where you are in the world.